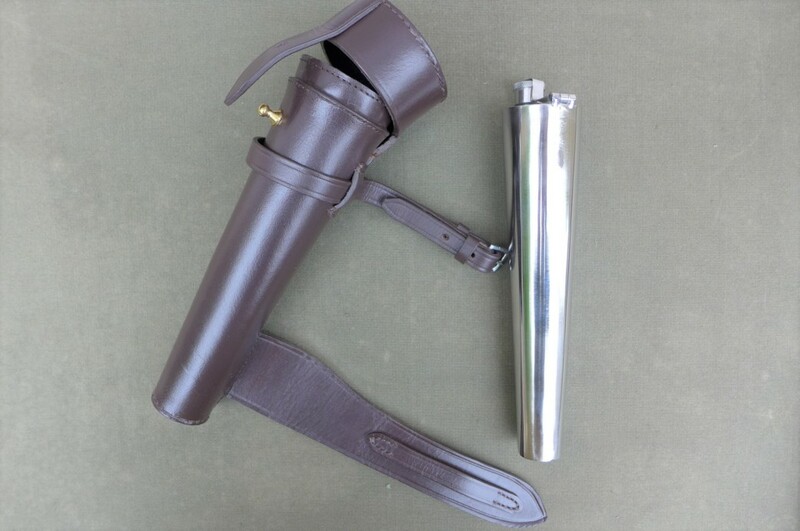 Made from Stainless Steel, this flask measures 240mm long, 50mm across the top and has a capacity of 300mls or 10 fl oz. the screw cap is held by a hinge fitting which means that the cap is impossible to lose! 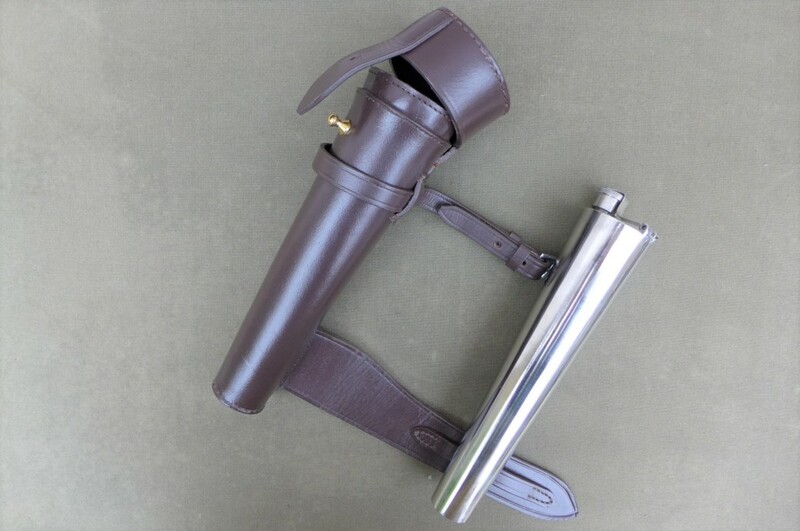 It comes in a leather saddle holster with the appropriate buckles and loops to attach directly. 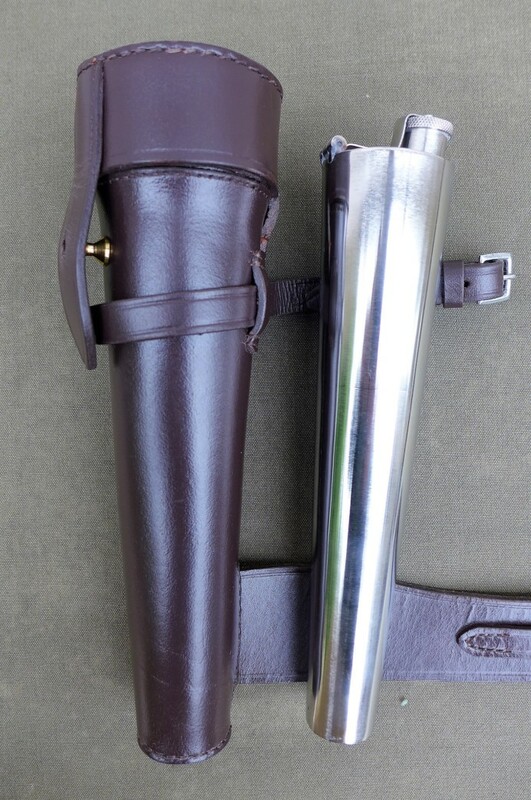 The cap is closed by a strong Sam Browne stud and the entire holster is made from dark brown bridle hide.